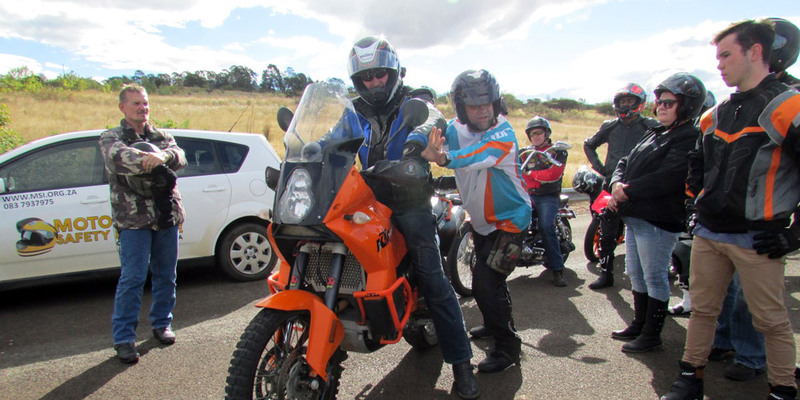 How the Government can solve Traffic Congestion in SA - Motorcycle Safety Institute of S.A. The government spends millions on local transport infrastructures like roads, railways, etc., apparently making it easier for road users to get around. Even with all that spending, our infrastructure is nowhere near where it needs to be. But there’s another cheap solution that could ease traffic, parking, and the wear on infrastructure: you guessed it, motorcycles. This country has yet to embrace mass-adoption of motorcycles, but the right incentives might change that. It’s a proven fact that motorcycles and scooters reduce congestion. As it stands today, less than 2% percent of commuting traffic in the S.A. is done on motorcycles. If that was raised to 10%, congestion could drop by 40 percent. If 25% of commuting traffic were motorcycles, congestion could be gone entirely. Gone! Imagine how much safer, more productive and less miserable we’d all be then. There’s no way in hell that every South African currently commuting by car or public transport would switch to a motorcycle or scooter, but if a decent amount more could be encouraged or enabled/empowered to do so, everything could move a lot faster for everyone. And enough people just might make the switch for the incentives. I propose that all urban areas make motorcycle parking free. This encourages people to commute on their motorcycles to work since many businesses are in or near city centres. This, in turn, helps reduce congestion during peak hours. Fewer cars taking up space is a win for everyone. More motorcycles translate to less congestion, fuel usage and road wear. Bikes are already a lot cheaper to operate than cars, but a few more incentives might get more people onto them. The point is, we can figure out more creative solutions to SA’s infrastructure problems than just building more roads and toll-ways to accommodate ever-growing traffic congestion. This seems like an obvious one. Recently the RAF launched free rider training around the country, but in main centres only. Imagine a world where the government wants to make riders safer and more skilled. In that world, Department of Transport or Education has graduated courses for riders trying to improve or offer vouchers to attend a course of their choice. Not only would this encourage new people to ride, but it raises the baseline skills of the people riding. Setup more riding schools and you have a job creation programme on your hands. Win-win again! If the government can fund the replacement of old taxis with new ones, then I propose a tax rebate strategy for newly purchased motorcycles. If you buy a new motorcycle, and use it for transportation purposes, you get a rebate. If you buy an electric motorcycle, like the ones Zero produces, you get an additional tax rebate. Heck, we could even roll in discounts or tax breaks on gear, so everyone’s riding safely too. Oh, this is a sensitive one! In some countries, motorcycles have reduced tolls and fees, and in some Zip. Zilch. Nada. Free. In our beautiful country, bikes pay the same toll fees than larger and heavier cars do. Don’t you find this ludicrous? I’ll make the modest proposal that tolls should be substantially reduced for motorcycles and scooters. You may argue that if riders don’t pay tolls, that’s fewer funds for road repairs and construction or corrupt officials’ pockets. But if we ease congestion, in theory, we won’t need as many repairs, to begin with. Right? It is true that some riders will take this to a whole wrong level, but it works. When done safely, with consideration, and only in crawling or stationary traffic, more road users will accept the practise. Fewer vehicles in lanes mean less time between your home and your office. Legal acceptance of lane-splitting will also create mass awareness and improve safety. If bikes fit between cars, let them through!